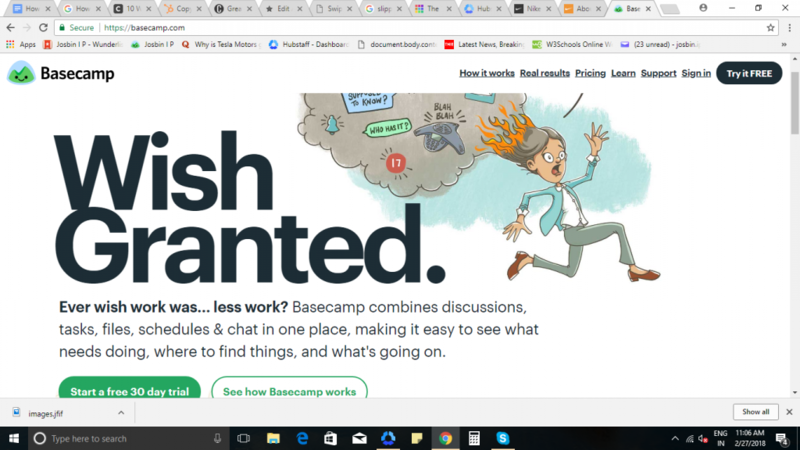 I have seen a lot of people invest great amounts of money on the design and graphics of their website and ignore the copywriting aspect of it. Most of them do not even realize that it is the most important thing to focus on, especially in the e-commerce industry. The best definition of copywriting is given by Copyblogger which defines it as the art and science of strategically delivering words (whether written or spoken) that get people to take some form of action. It is salesmanship in the form of words. That includes everything that you see on websites, newsletters, emails and other forms of advertisements. Having a magnificent copy is the easiest way to increase your conversion rates and boost your sales and yet many businesses fail to do so. How is copywriting different from content writing? Most of us confuse copywriting with content writing. The basic difference between the two is their purpose. The sole purpose of copywriting is to sell more while that of content writing could be to inform, educate or entertain. How will a good copy help you sell more? The function of a copy is to inform the customers about your products or services. This is the means by which your customers know that it is the product they are looking for. Your copy must anticipate the needs of your visitors and should convince them that you are trustworthy and you provide quality products or service. The role of your copy is to persuade prospective customers to buy from you. In other words, good copy functions like a great salesman. Let’s make this simple, are you good at writing? If not, it will be a good idea to hire a professional to do the job. It is the most important part of your online business. If you are confident that you can do it by yourself, go ahead and do it but before that, here are some of the traits that a good copy needs. A good copy must grab the reader’s attention. We all are now trained to ignore marketing messages. It takes something special to get our attention. Take a look at this Ad. 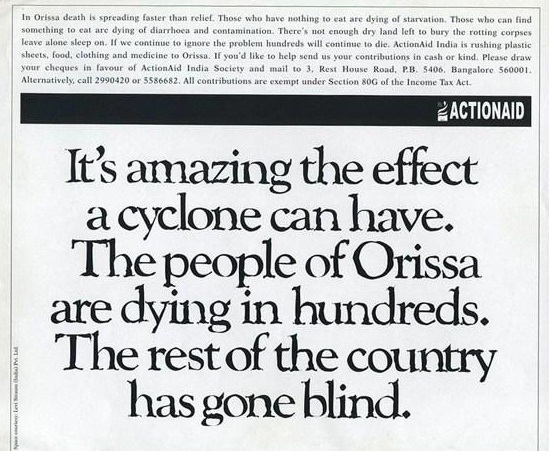 This is a clever copywriting example from ActionAid. It grabs the attention of the readers and leaves a long-lasting impression on them. If you are copywriting for your website, let your headline grab the attention. The headline must compel your audience to read the first sentence and this must lead them to the second and so on. A good copy creates this slippery slope effect. Another trait of a good copy is that it creates a connection with the readers. Rather than telling your readers about the features of your products or services, tell them how they will benefit from using them. A good copy connects your products or services to the people. It tells how your products and services will help them be the better versions of themselves. Look at the Nike ‘About’ page below. They conveyed an idea about themselves in a single sentence, making a connection with the readers. When writers are not sure about what they are writing, they resort to jargon and exaggeration. Sales conversion. Sales funnel, Marketing solutions. Customer-centric. Customer targeted approach. Research oriented. Best in the industry. Revolutionary. Groundbreaking. You get the idea, didn’t you? This is a serious copywriting mistake. Good copywriting does not need the use of jargon or fancy words that exaggerate your products or services. In the below example, Basecamp does this beautifully with simple words. Another important trait of a good copy is that it is simple, short and to the point. If you can reduce the length of a sentence without losing its meaning, do it. It is more likely that people will read your copy if it is short and to the point. Make your paragraphs shorter. It makes online reading much easier. How many times have you skipped a paragraph halfway just because it was too long? Try to convey your ideas in short, easy to read paragraphs. The ways we advertise have changed. From billboards to Facebook Ads, Television to YouTube, Radio to Podcasts, Newspapers to websites and magazines to blogs. But the art of copywriting hasn’t changed much. The concepts remain the same. Your copy is one of the most important factors that influence your customers. Focus on your copy, sell more.